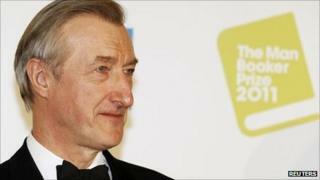 Author Julian Barnes has finally won the Man Booker prize for his short novel, The Sense of an Ending. The 65-year-old previously missed out three times for the prestigious literary award. Barnes's 11th novel explores childhood friendship and the imperfections of memory. Born in 1946 in Leicester, Barnes grew up in London after his family moved to the capital just weeks after his birth. After studying modern languages at Magdalen College in Oxford, he began his career working as a lexicographer for the Oxford English Dictionary supplement. He eventually moved into journalism, working at the New Statesman and the New Review as a reviewer and literary editor. But it was not until 1980 that Barnes's first novel, Metroland, was published. The semi-autobiographical tale explored growing up in the suburbs of London and life in Paris as a post-graduate student. Although the book was lauded by critics, Barnes's mother complained of a "bombardment" of filth after reading the novel. The book went on to win the Somerset Maugham Award in 1981 and was eventually adapted into a 1997 film, starring Christian Bale and Emily Watson. In the 1980s he also began to pen crime fiction under the pseudonym Dan Kavanagh. Barnes received his first Booker nomination for his third novel, Flaubert's Parrot (1984), which lost out to Anita Brookner's Hotel du Lac. But the book, about an English doctor's obsession with French writer Gustave Flaubert, was awarded the Geoffrey Faber Memorial Prize the following year. Born to French parents, Barnes has always had a keen interest in the country. He is the only writer to win French literary prizes the Prix Medicis (in 1986 for Flaubert's Parrot) and the Prix Femina (in 1992 -for Talking It Over). He was made an Officier de l'Ordre des Arts et des Lettres in 1995 and a Commandeur de l'Ordre des Arts et des Lettres in 2004. He has also received the EM Forster Award from the American Academy. Earlier this year he was awarded the David Cohen Prize for Literature, which honours a lifetime's achievement in literature for a writer in the English language. England, England, Barnes' eighth novel, was shortlisted for the Booker prize in 1998, followed by Arthur & George in 2005. The author has also penned non-fiction, including a 2003 collection on cooking called The Pedant in the Kitchen.